The second-seeded Toronto Raptors will have to start their 2019 playoff push without one of their key contributors. 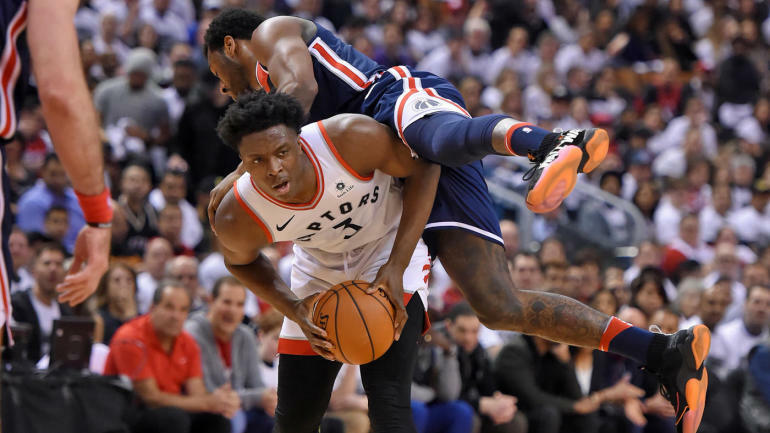 According to The Athletic’s Shams Charania, Raptors second-year forward OG Anunoby underwent an emergency appendectomy on Thursday night after being diagnosed with acute appendicitis. The surgery was successful and was performed at Mount Sinai Hospital, the team announced. Anunoby will be sidelined indefinitely, but will miss at least two weeks of action, per Charania. Given that timeline, Anunoby will likely miss the entirety of Toronto’s first-round playoff series against the Orlando Magic. The loss is a big blow for Toronto, as Anunoby is a key contributor off of the bench. He appeared in 67 games for the Raptors this season, averaging 7 points and 2.9 rebounds per game in 20.2 minutes per game. He scored in double figures 15 times and tallied two 20-point games. With Anunoby sidelined, Norman Powell will likely see some increased activity off of the bench for Toronto, who will begin their playoff run against Orlando on Saturday afternoon. While the Raptors may be able to navigate their opening round series against the Magic, if they want to make a deep postseason run then they will need for all of their weapons to be in uniform and available to play and Anunoby is certainly one of their key contributors.